I don’t know anybody else who gets as excited about small things as I do. But, I love new gadgets, and my old electric toothbrush was on it’s last little electric leg. 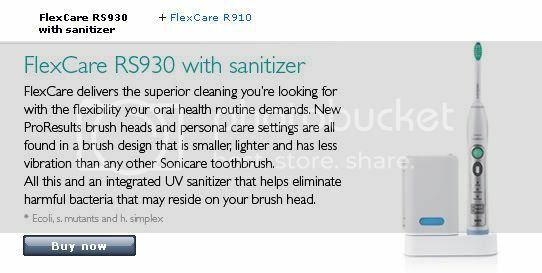 I’m surprised that my existing toothbrush has lasted as long as it has- but finding brush heads is near impossible, and I had heard some awesome things about the Sonicare. I bought mine at Costco. Besides the expanded functionality of the toothbrush itself, what really sealed the deal for me was the travel cases and the travel charger. I hate traveling with a manual toothbrush, and I’m also annoyed if my electric brush dies during a trip. When deciding between this model, and a Lesser Brush, I could practically hear Andrew’s voice in my head, talking about long-term costs. Shockingly enough, the brush heads for the Fancy-Schmancy one? Less expensive than the brush heads for the Lesser Brush. You're as easy to please as me. I was ecstatic when I got my new vacuum. It really SUCKED! !